We live in a base-10 world. The decimal system governs everything from the binary functions of computers to the amount of change you get when you buy a Mashed Potato Slurpee. So why isn't the standard Earth day just 10 hours long? Credit the Egyptians for that one. As human civilization moved from transient hunter-gatherer societies to agricultural communities, people realized the need to tally their objects and property. (If you go out to pasture with five goats in the morning, then come back with three in the evening—and can't tell the difference—you're doing it wrong). The concept of written language was just catching on at that point, so people learned to count the same way kids do today—using their 10 fingers. Egyptian hieroglyphs from as early as 3000 BC show the use of a base-10 decimal system. So why did they set their clocks to base-12? Many believe that the base-12 system arose from a counting system the Egyptians inherited from the earlier Sumerian culture, counting not by the whole finger but by each individual knuckle. That is, if you open your left hand and use the tip of your thumb to touch each of the three knuckles in your four fingers, you'll total 12. To measure time using this method, the Egyptians divided the day into 12-hour halves—or, more accurately, a ten hour day, two hours of morning and evening twilight, and 12 hours of darkness. The Egyptians based the hours themselves on the movement of the heavens. They tracked a series of 36 small constellations, known as "decans," which rise consecutively over the horizon approximately once every 40 minutes. The rising of each decan marked the start of a new hour. The start of a new decade—the Egyptian 10-day period—began with the appearance of a new decan in the Eastern sky just before dawn. By the 9th Dynasty (about 2100 BC), Egyptians had augmented their solar calendar with the regular appearances of these stars to create a unified annual calendar. Its 36 decades constituted the 360-day Egyptian year. The new system proved precise enough to accurately predict the annual flooding of the Nile with the rising of the star Sirius, even though the actual length of individual hours varied according to the season. "Tables were produced to help people to determine time at night by observing the decans. Amazingly, such tables have been found inside the lids of coffins, presumably so that the dead could also tell the time," Dr. Nick Lomb, the Sydney Observatory's consultant curator of astronomy, told ABC News. While the new calendar made telling time dead simple, it's hourly flexibility made such a system useless to the Greeks—they needed a day with fixed-length increments. 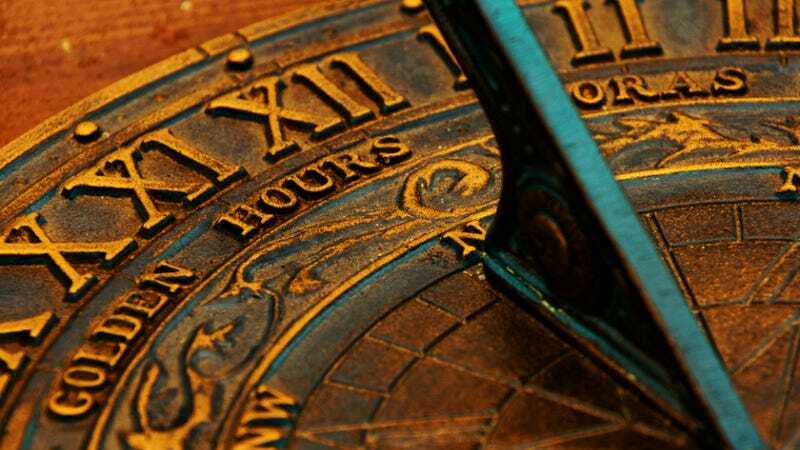 Hipparchus, considered by many to be the greatest astronomer in antiquity, is credited with synthesizing the Egyptian star clock into the standardized equinoctial clock we use today, wherein each period of light and dark on the Equinoxes is divided into 12 equal-length segments. Now, if only someone could explain why we still bother with Daylight Savings.